I am a baker. I love to be in my kitchen and I love to bake and cook for my family. Through the years, I have been able to make some pretty amazing things and because my husband loves chocolate, I tend to use alot of recipes containing chocolate chips. I think it goes without saying that using pure sugar is the best way to cook but is it always the healthiest? Well, if you are on dietary restrictions or are trying to lose weight, pure sugar isn't always the best option. I once was on a yeast-free, sugar-free diet and let me tell you, my body went through some horrible withdrawal symptoms from all the sugar I was consuming. During my quest to not eat sugar or yeast, I found myself using products that contained artificial sweeteners and while they weren't pure sugar, they did the trick when I needed them. Xlear Inc. was founded in June of 2000 to launch the company’s first commercially available product, Xlear Sinus Care Nasal Spray. Since that time, Xlear has grown to be recognized as an industry leader in the manufacturing and distribution of high-quality, natural xylitol products. Xlear Inc. is recognized as the leading manufacturer of xylitol-based products in North America. We are tirelessly-committed to providing consumers with the health benefits of xylitol, erythritol, and other natural sweeteners, by manufacturing natural, health-enhancing products based on these incredible sweeteners found in wood, fruits, vegetables, and other natural sources. I never knew that there could be anything sweetener related in wood...interesting. 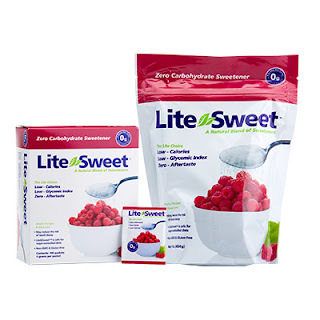 I have many friends who are on gluten-free diets and they have used xylitol, which is one of the reasons I was interested in checking out Lite&Sweet. So, for this review I was sent some Lite&Sweet to try out and was very excited when my package arrived. 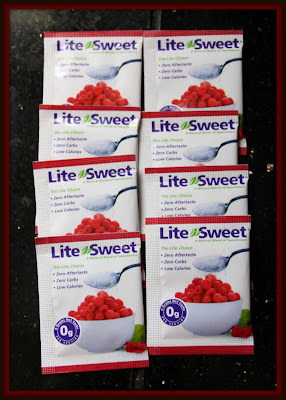 Lite&Sweet not only comes in these single serve packets, but also comes in 1, 3 and 5 pound bags...which makes it super easy to use for baking. The first thing I noticed about this sweetener is that it is not powdery like sugar, but rather looks like itty bitty balls of clear sugar. The flavor is very sweet and doesn't have any nasty after taste, like some artificial sweeteners cause. The second thing that sets this sweetener apart from others is it's 1:1 ratio when used for baking. 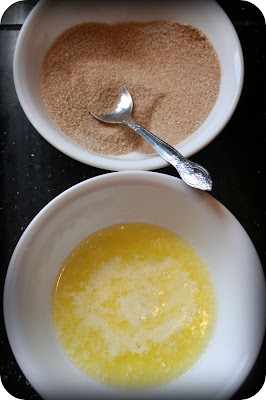 If your recipe calls for 1/2 cup of sugar, you can use 1/2 cup of Lite&Sweet. 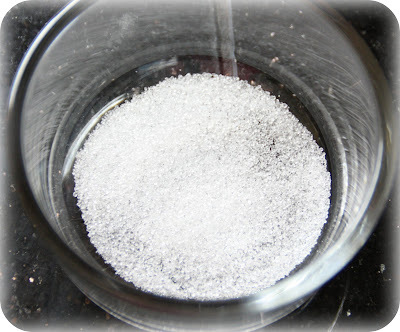 I hate when I have to try and figure out how much sweetener to use when I substitute it for sugar in recipes. There's no guess work here...just use however much your recipe calls for. In a small bowl, combine sugar and cinnamon. Dip top and sides of biscuits in butter, then in cinnamon sugar. 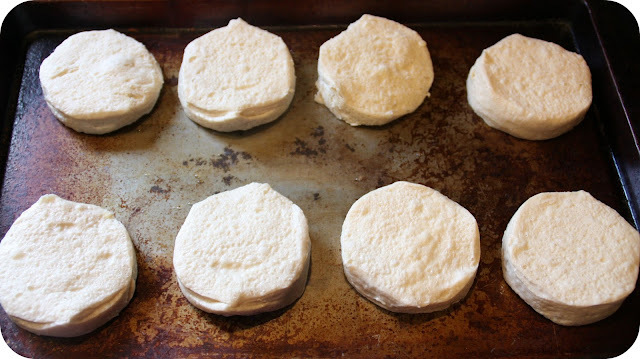 Place on ungreased baking sheets. With the end of a wooden spoon handle, make a deep indentation in the center of each biscuit; fill with 1 tsp. of preserves. Bake at 375 degrees for 15 - 18 minutes or until golden brown. Cool for 15 minutes before serving, preserves will be hot. 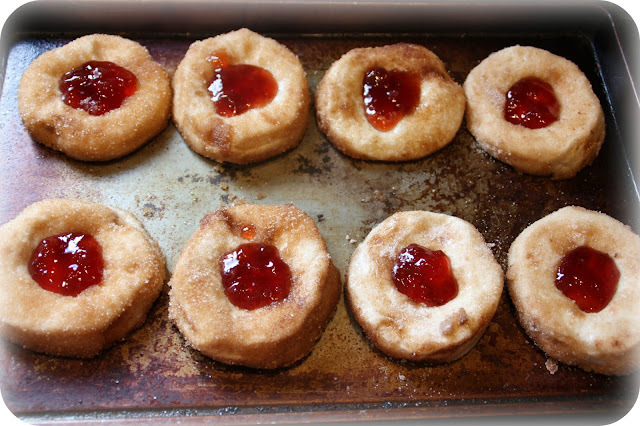 Optional: Drizzle a confectioners sugar glaze over the top of each biscuit for an extra hint of sweetness. 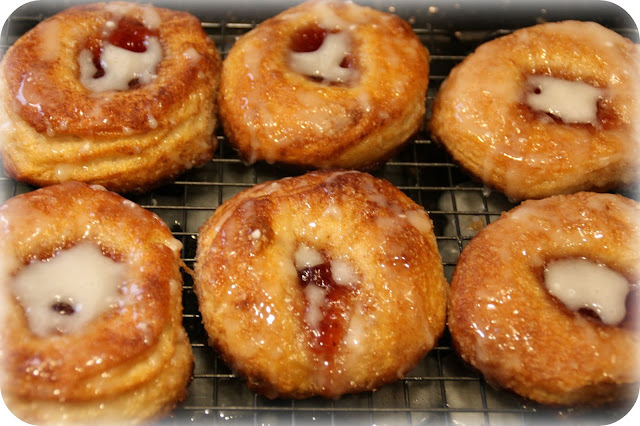 Bake until golden brown...add confectioners sugar glaze as an added touch of sweetness. Ok, so these biscuits tasted amazing and you couldn't even tell that I used a sugar substitute...let alone a HEALTHY sugar substitute! You can purchase Lite&Sweet at natural food stores or purchase it directly from Xlear's website. Prices vary depending on what size package you want to buy. 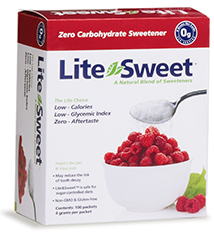 So, if you are looking for a healthy alternative to sugar, make sure you check out Lite&Sweet...it is so good, you will hardly notice the difference. I loved using it and baking with it was super easy. I would definitely recommend it to anyone! Disclaimer: I received no monetary compensation for this post. I did receive free product for review purposes. All quotes and stock photos are from the Xlear website and email. All thoughts and opinions are 100% mine. You can leave a valid email address with each comment so I will know where to contact you if you win a giveaway...or make sure it is listed where I can easily find it! Thanks for visiting! Hello! "Mommy's Reviews" is a PR friendly review, giveaway and freebie blog that was created for just that purpose! My name is Sally and I am a stay at home mom who LOVES great deals. I also love family friendly products that are geared towards having a more organized, healthy and happy home. I have tried many new products and have really enjoyed doing the reviews for them. Thanks for stopping by today! Sign up as a follower and be notified of new giveaways and reviews that are added!